Zied swung by our permaculture smallholding the other day to ask us if we could help him identify a type of owl that was living in one of the old outbuildings at his dog kennels. There was a big pile of old hay upstairs that he considered a fire hazard and wanted to remove but then realised he had something living there. No soft “twit-twoo”, Zied recounted that his birds let out horrible shrieks, screeches and hisses. An owl that lives in a barn? Hmm, there’s a clue there. I have a book withaccompanying CDs and played the call of the barn owl (Tyto alba): it sounded suitably screechy. I couldn’t get hold of Zied, so played the recording to his answerphone. I got a text late one evening, "if we hadn’t gone to bed, did we want to come up and have a look at the owls". A couple of minutes later and we were standing outside the gates, equipped with a camera and torch. While I gently crept up a rickety ladder, Gabrielle stayed outside and so it was she who saw the pair of barn owls fly out of a hole in the wall. The place was littered with owl pellets and I grabbed a few for later examination. I have to say that I was disappointed to have missed them but as we went to leave, one of the barn owls appeared front of the headlights and flew for a good 50 yards before perching on a telegraph post. By the time I’d retrieved my camera from the back seat and wound the window down, the owl had flown off … silently. Owls have two technical advantages that allow them to creep up (in a flying sort of way) to unsuspecting prey before they run away. The first is soft or tattered fringes to their main feathers that dampen sound and, secondly, additional velvety down feathers that absorb the remaining noise. I’ve seen them at falconry displays and they really are silent. To help me analyse the regurgitated pellets I called on our bright, enthusiastic and confident 10-year-old neighbour, Camille. 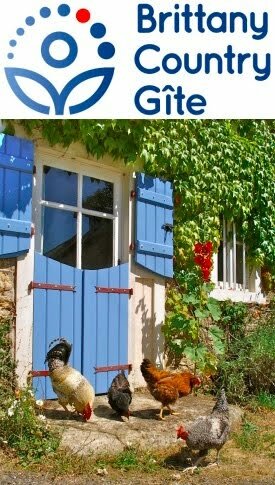 I couldn’t get any information from the Ligue pour la Protection d’Oiseaux website, so reverted to the Anglophone Internet and downloaded this free and comprehensive guide from the Royal Society for the Protection of Bird’s website. 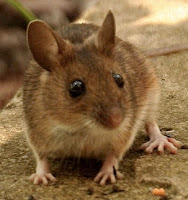 Our examination began with a few minutes with the dictionary, translating voles and field mice, so that Camille could annotate the English diagram with campagnols and mulots, etc. 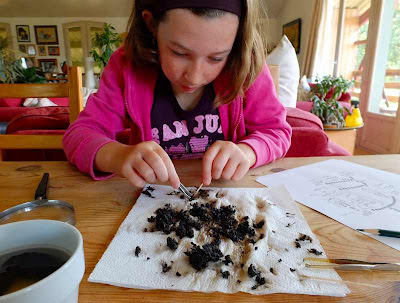 Camille and I soaked the owl pellets in a bowl of water and, armed with tweezers and a magnifying glass, we teased them apart. 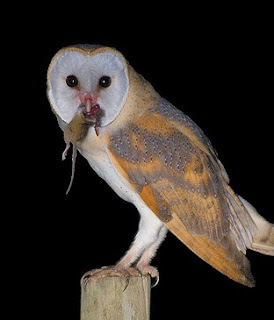 This pair of owls are efficient hunters: there were at least four rodents per pellet. 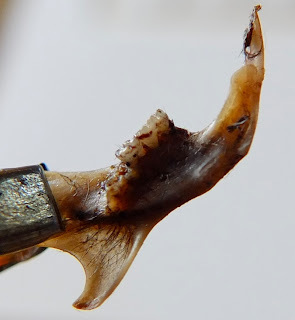 The identification key was in the form of a flow diagram and at one moment, we had to pull a tooth and count the number of roots, four telling us that this belonged to a wood mouse, Lat: Apodemus sylvaticus and, in French, a Mulot sylvestre see photo below. I did get in contact with the LPO and they have advised Zied to wait until mid-September before removing the pile of old hay and supplied links for instructions onconstructing nest boxes to replace their nesting habitat. For info on barn owls in English, have a look at the barn owl trust’s website. By the way, the etymology of the French name of barn owl–effraie–seems to be that it derives from 'effrayer' (to scare or make afraid) and they have in the past been considered bad omens. They are now a protected species in France. 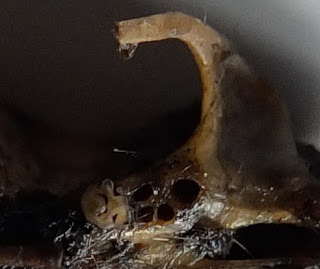 Great write up on owls and especially pellet analysis. One thing to note about french owl box design,is that it is not very specific about the depth of the box from the entrance hole. The largest problem with fatalities comes from owlets falling from the nest!